Do you have any questions concerning the band that you would like answered or some information you would like to share with us? Want to make some comments? Would you like to discuss the band, contribute to it or make some fund raising suggestions? It's easy to contact us. We can easily be reached by phone, regular mail or e-mail and we'd like to hear from you. Mail us a letter addressed to: PO Box 982, Wisconsin Rapids WI 54494. Support the Band by becoming a Band Sponsor. There are numerous opportunities for sponsorship. Call Mary Beth Rokus at 715.421.3115 or write her at PO Box 982, Wisconsin Rapids WI 54494 to learn more. 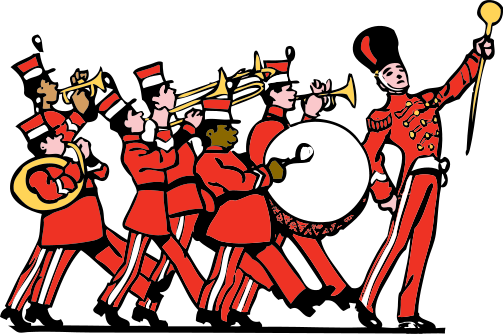 Want information about becoming a band member and playing with the band? Pick up a phone and talk with our band conductor: Bob Kaiser at 715.569.4943.